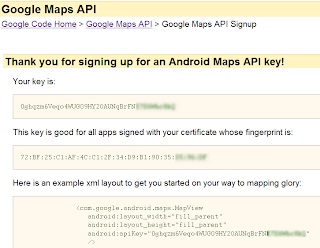 As you might know if you have used the Google Maps API in the past, a key is required in order to be able to use the API. 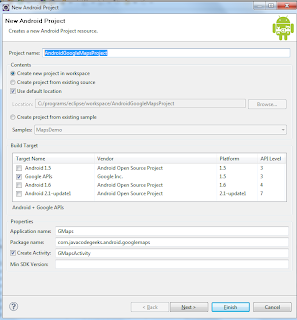 The process is slightly different for use in Android applications, so let’s see what is required to do. 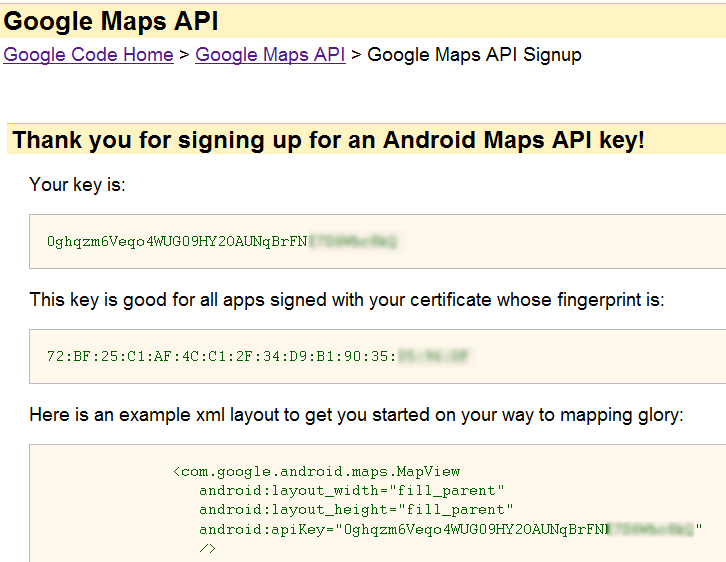 Note that the process is described in the “Obtaining a Maps API Key” page, but I will also provide a description here. First, we have to calculate the MD5 fingerprint of the certificate that we will use to sign the final application. This fingerprint will have to be provided to the Google Maps API service so that it can associate the key with your application. Java’s Key and Certificate Management tool named keytool is used for the fingerprint generation. 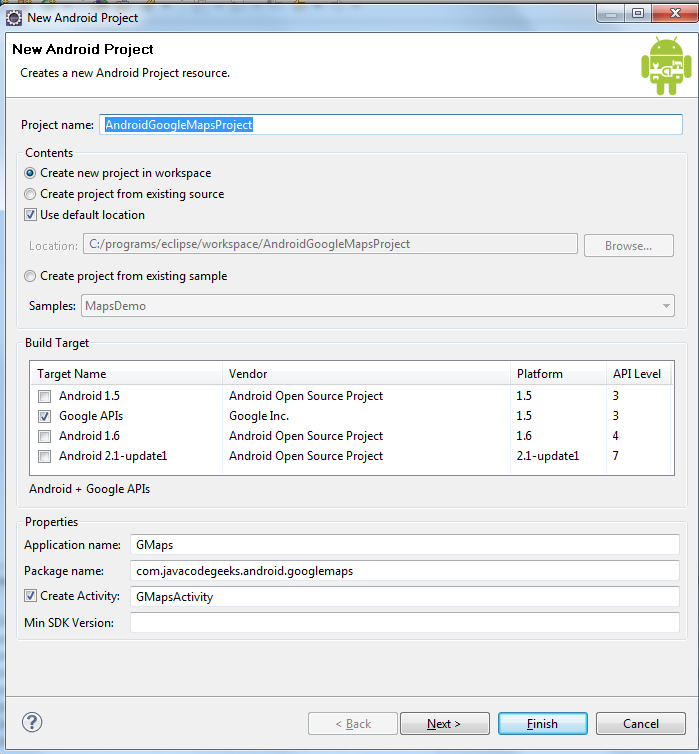 The problem is that we haven’t notified Android that we wish to use the add-on Google APIs which are external to the base API. 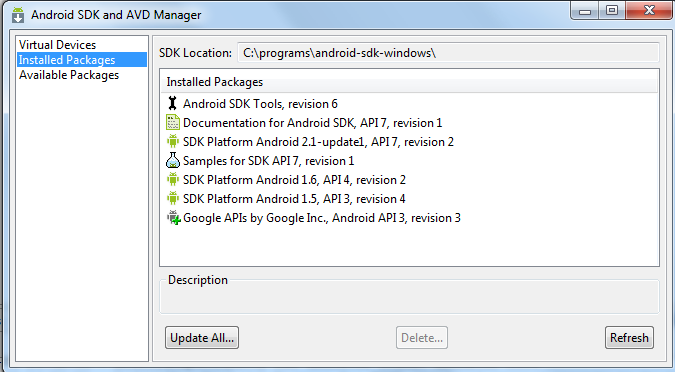 To do so, we have to use the uses-library element in our Android manifest file, informing Android that we are going to use classes from the com.google.android.maps package. That’s all guys. A detailed guide on how to integrate Google Maps into your Android application. As always, you can download the Eclipse project created for this tutorial. Happy mobile coding! And don’t forget to share! 38 Comments Views Tweet it! my graphic appears but force closes when I click on it to read the title and snippet. Any help please? I am nt able to see map on my emulator ,i can just see the grid and the icon which shows the athens. how did u solve this? I’m facing the same problem. 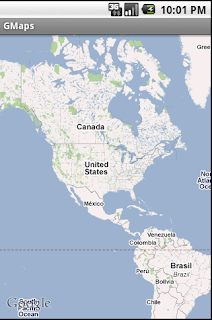 The Maps application that comes pre-installed on the emulator works fine. But when I run the eclipse project given here the maps don’t show. What is the solution for this problem? 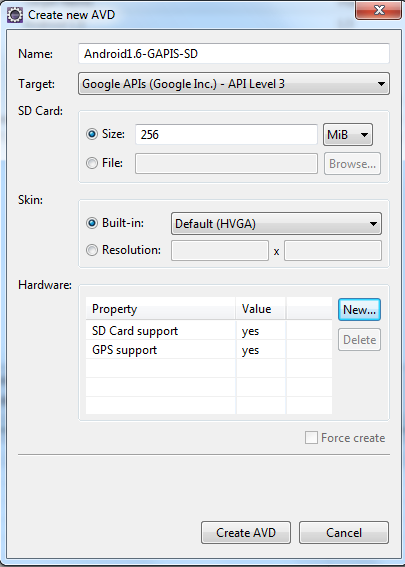 I followed the steps and it runs in emulator but the installations onto a android 2.1 phone and a 2.3 phone failed, why? anybody encountered the same problem? 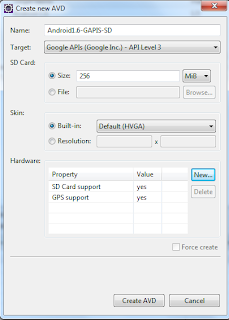 My google API is installed, but while creating the project, there is no option for choosing Google API as the target build. what should i do? Thanks so much for your great tutorial and the downloadable sample code, it works great, and has given me a great jump on playing around with mapping. How can you get multiple drawable icons for separate markers? I have searched all over the internet to no avail. Could someone please help me with this? Please give code google maps search, thank you so much. Did have a problem with getting the MD5 fingerprint. Starting with JDK 1.7 the default output is SHA1 fingerprint, for MD5 fingerprint add the option -v to the keytool command string. I want to change the Longitude and Latitude coordinates to be somewhere else. can you continue this tutorial to track a position saved in a database in a certain path ? !